Hello! 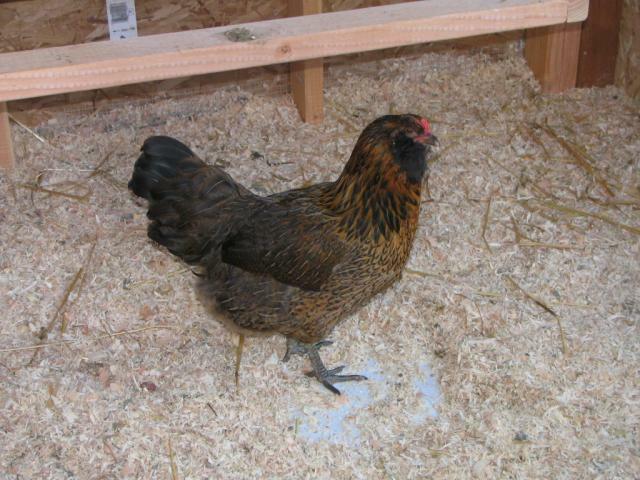 I'm Fran and I live in Washington State with my hubby, kids, two cats and 12 (for the moment) chickens. 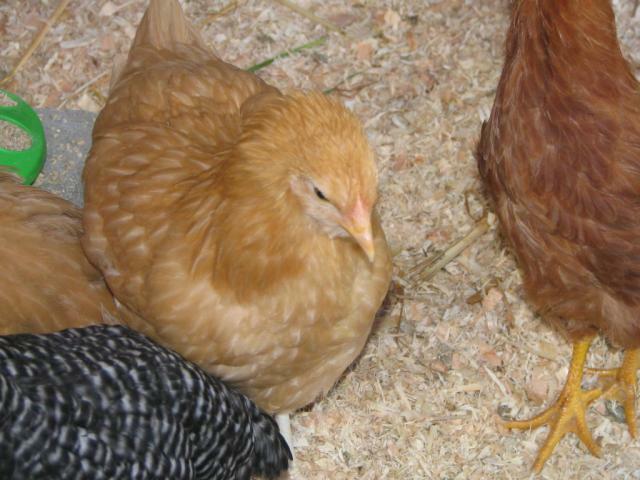 This is my first foray into the world of chicken ownership and I'm loving every minute of it! At least on this site there are other crazy chicken loving people who don't look at me like I have two heads when I gush about them! I'm not sure what all I'm supposed to put on this page so I'll just add a few gratuitous pictures of my kids and my chickens. 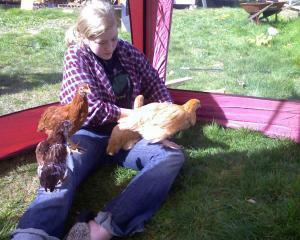 This is one of my daughters, the chicken whisperer. 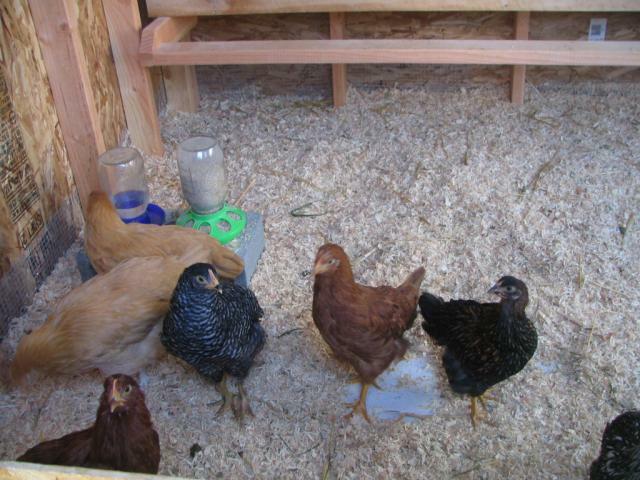 We didn't have the coop finished yet so I let them out of the brooder and into our screened gazebo thing. We put it up, staked it down and put firewood all around the outside edge so no one could escape and no kitties could join them. Then we hung out inside our large chicken playpen! As you can see, they decided my daughter made a fine roost. The did it to my son as well but I didn't get a picture of him. 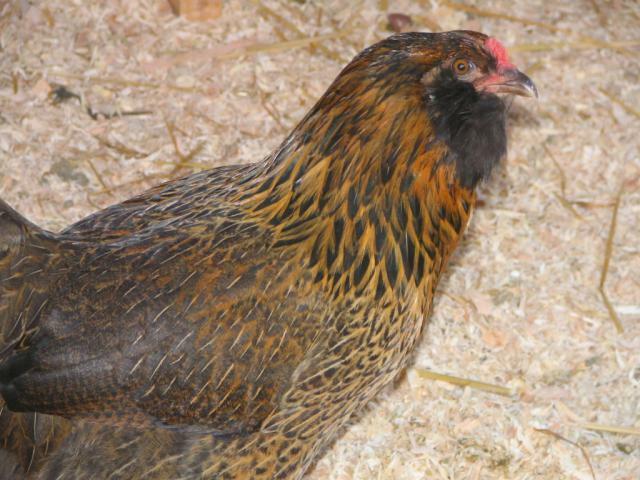 This is our Easter Egger named Duchess. 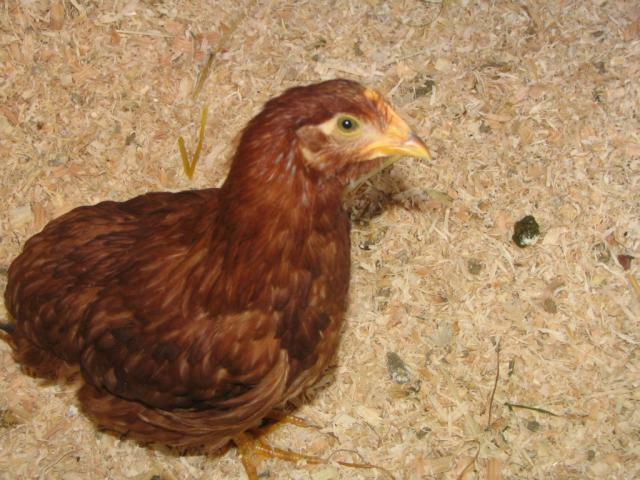 She's our oldest hen just recently added to the flock. Hopefully she'll decide she's happy here and lay me some eggs soon! This is my Russian Orloff. I've heard mixed opinions of their prowess as layers but I think she's really cool looking and she's one of my sweetest little girls. Everytime I open the coop she's right there to say hi. In fact, I have a hard time shooing her away since she always wants to be near me. She's about 9 weeks old in this picture. 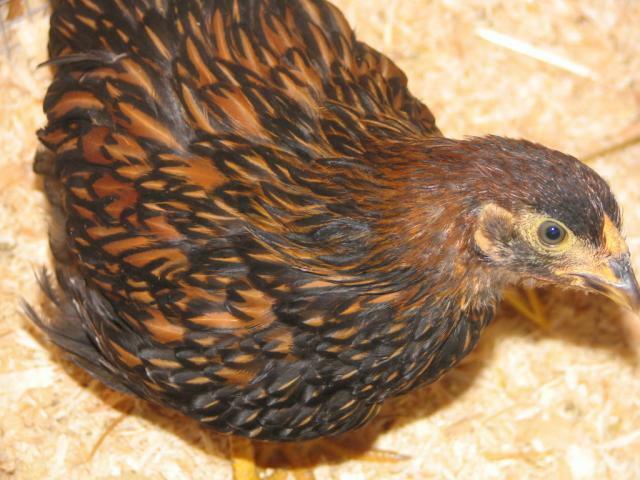 This is Peanut, our Golden Laced Wyandotte. She got her name because she was the little runt of the group. She was so tiny and wouldn't eat when we got her. I was worried she wasn't going to make it! I started feeding her Kefir mixed into her chick crumbles and she went nuts! 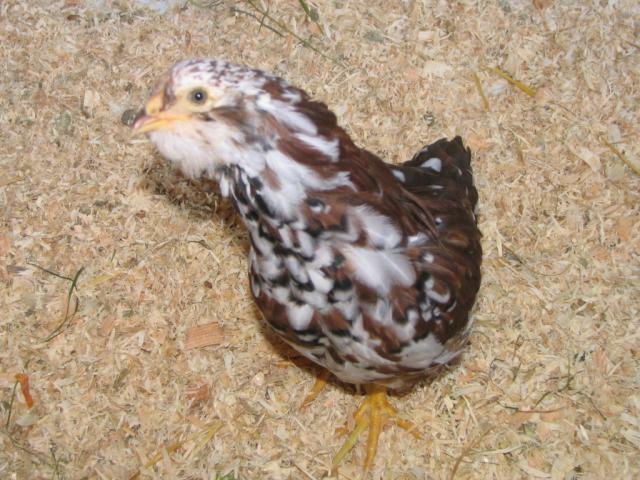 She was in a brooder with Anastasia (RO) and Kimber (SLW) and they turned into little velociraptors when I'd put it in! While she's still the smallest for size, she is second only to the 8 month old EE and I think she thinks she can take her too! 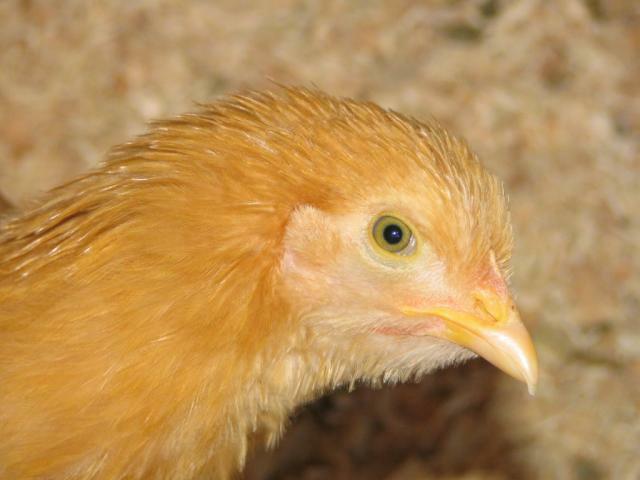 This is one of our Buff Orpingtons. I hate to admit that I can't tell the two we have apart but it's true so I'm not sure which one we have here. It's either Cindy Coo or Chicken Little. 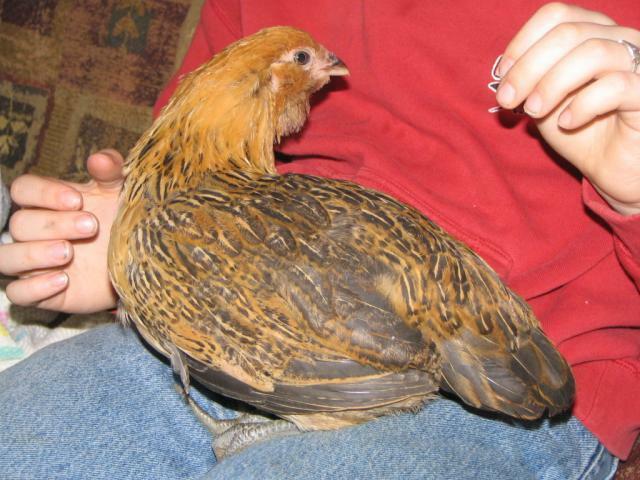 For the longest time Chicken Little was our biggest. She may still be (aside from the EE of course!) They're both very sweet girls. 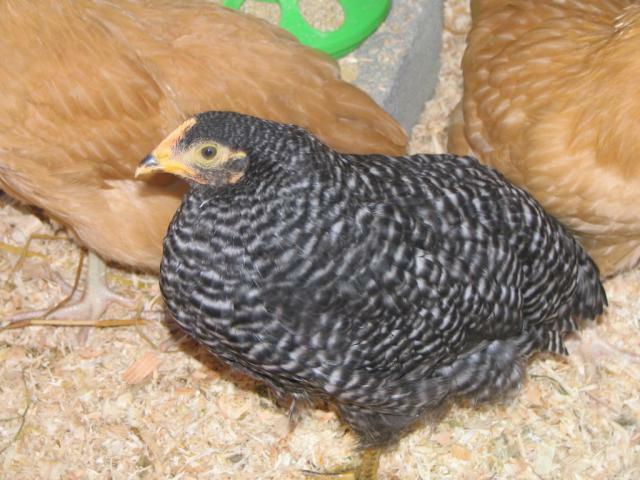 Blackberry is our Plymouth Barred Rock. 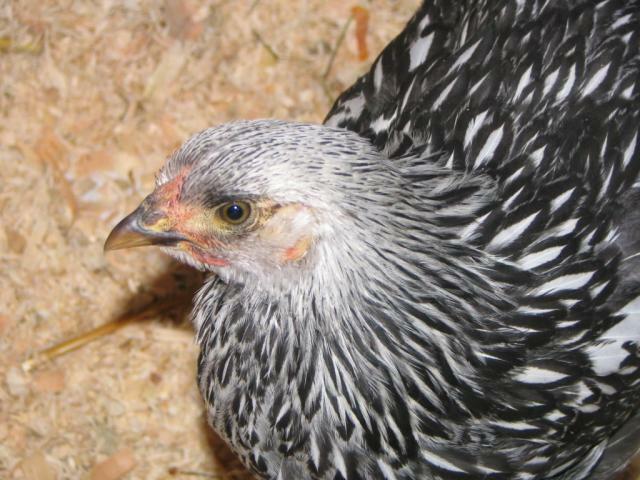 She's also a very sweet girl and has a beautiful pattern. This is one of the New Hampshire Reds. Again, I can't really tell the difference but one is Theodora and one is Ginger. 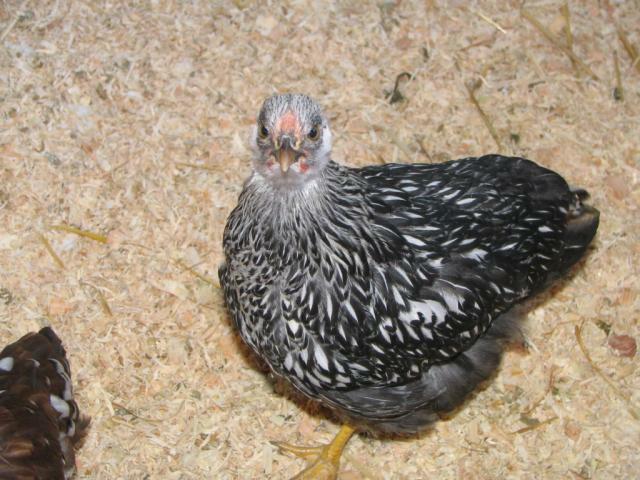 This little one is a 7 week old Easter Egger named Princess. She has two friends coming to live with us this weekend but for now she's in solitary because the bigger girls are picking on her. Once her friends join her, we'll let them bond awhile and eventually introduce them to the others. Hopefully with three of them no one will get singled out too badly. Plus if we wait til they're bigger they will stand a better chance.